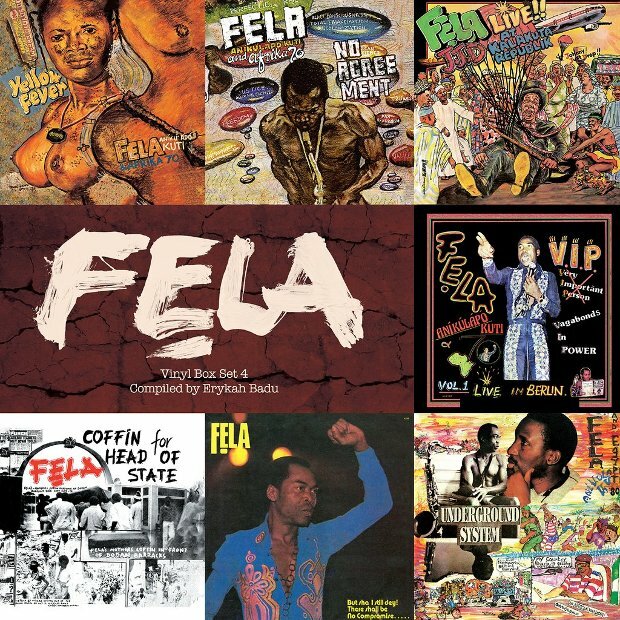 The Fela Kuti reissue programme continues with a seven LP selection by the mighty Erykah Badu, spanning 1976 to 1992, and the dissolution of the revolutionary Afrika '70 band and the formation of Egypt '80. This series has been particularly valuable in highlighting overlooked albums from the Afrobeat pioneer's voluminous catalogue such as 1977's Johnny Must Drop, with its heavy percussion workouts, and 1984's Army Arrangement, where deceptively cool grooves erupt into wild organ solos. Alongside these gems are stone cold classics like 1976's Yellow Fever, where Kuti tears it up on saxophone over Tony Allen's indelible groove. Out now on Knitting Factory Records.